 In response to the accident at the Fukushima Daiichi atomic power plant in 2011, the Ministry of Health, Labor and Welfare issued an exemption ordinance to increase the dose limits for emergency workers temporarily from 100 mSv to 250 mSv from 14 March to 16 December 2011. However, there were many problems with setting and applying the dose limits as well as radiation protection. Based on the lessons learned, in 2015, the Government of Japan deliberated setting emergency radiation protection standards to ensure preparedness for future nuclear emergencies. This paper aims to describe and share the experience gained in that decision-making and social consensus-building process of setting emergency dose limits. It outlines issues relating to the setting and application of emergency dose limits, restricting these to emergency workers and training them accordingly, and mid-to-long-term dose control. When deliberating on emergency dose criteria, the Government of Japan had to harmonize its efforts with international guidance documents and find a way to balance the protection of emergency workers with the prompt implementation of a crisis management plan to maintain control over the nuclear accident. The fact that leading countries have a wide range of emergency dose criteria means that the establishment of emergency dose limits requires not just a scientific basis as prescribed in international documents but also social consensus-building. Further case studies on the decision-making process for setting radiation protection standards in other countries are thus warranted.